I'm making this DIY as an extension to my wire tuck DIY. My wire tuck included extending wires. I think it made it a lot cleaner and more organized to extend the wires rather than trying to make wires reach that are too short or that just barely reach. 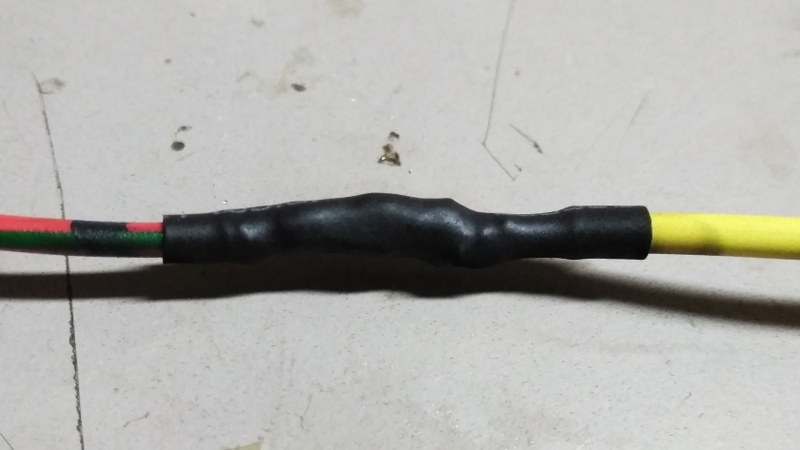 I soldered and heat shrinked all wires that I had to extend. This just provides a better mechanical connection with no worry of future electrical failure. First take your clean sponge and get it moist. Next get your solder tip and sand it down till its shinny metal then wipe it clean. With your shinny clean tip in the gun heat it up and with a length of solder wire begin to melt and build a ball of solder on to the tip. After the ball of solder sits on the tip for a few seconds gently knock off the excess solder and wipe the tip onto your clean sponge. You should now see that the tip has a thin layer of solder over the metal and looks like this. This ensures that the tip will be free from any impurities. 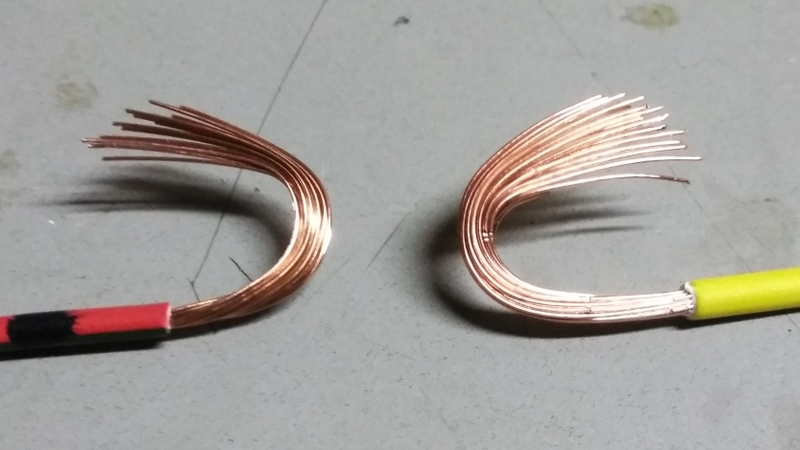 Benefits: The tip will get hotter, transfer heat better, not stick to the solder and just over all preform better. You must wipe the tip on the clean sponge before and after each use to keep that layer of solder on the tip clean. If your using a trigger type gun don't release the trigger until after you have wiped the tip on your clean sponge so as to wipe while still hot. 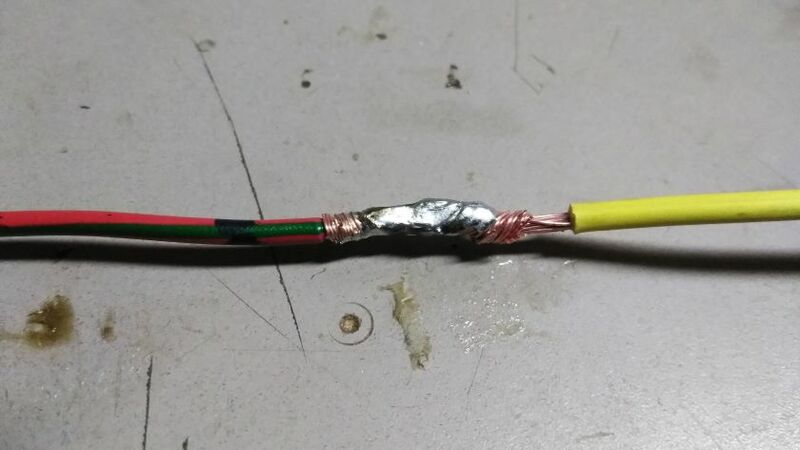 Next, the way I will show to connect the two ends of wire will ensure a solid mechanical connection. 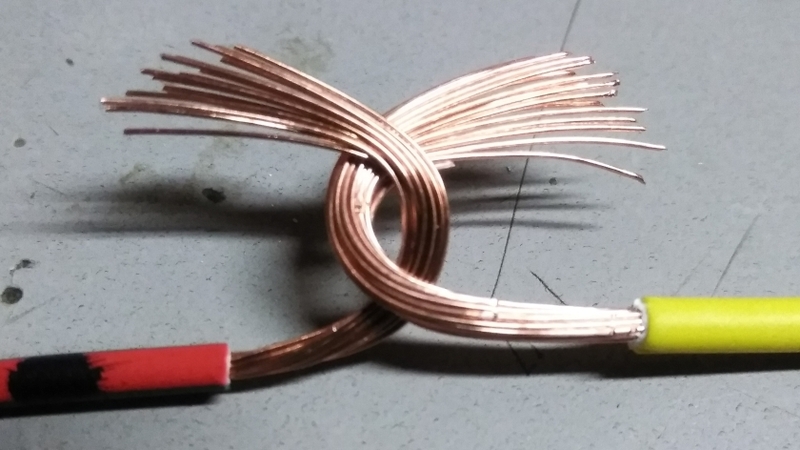 After you have your two ends of wire stripped slide a piece of heat shrink about 6 inches down one of the wires. While holding one hook securely twist the other hook back around itself. Now do the same with the other end. Now your ready to solder. 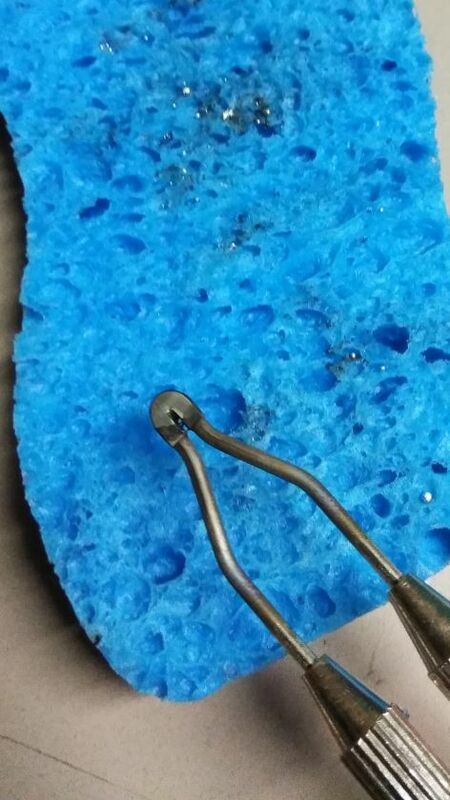 Heat the solder gun up till at temperature, (about 10-20 seconds), and wipe it on the clean sponge. 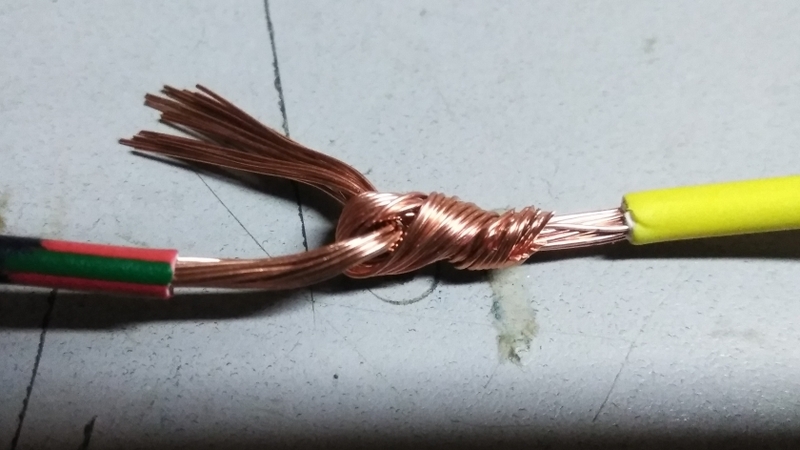 Hold the tip to the wire along with the solder. Hold them both against the wire for about 10 seconds. The solder should begin to melt. 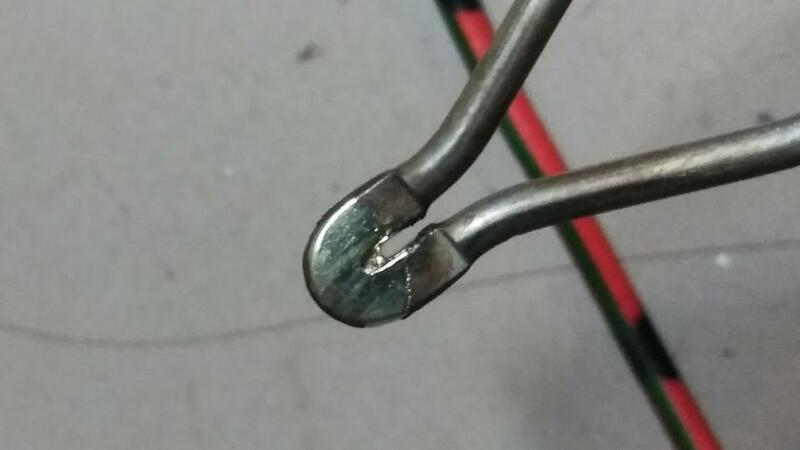 If the solder does not melt easily you may need to drag the tip across the solder to get it to start to melt. Spread it across the wire with the tip. Once the solder is spread wipe the tip clean. 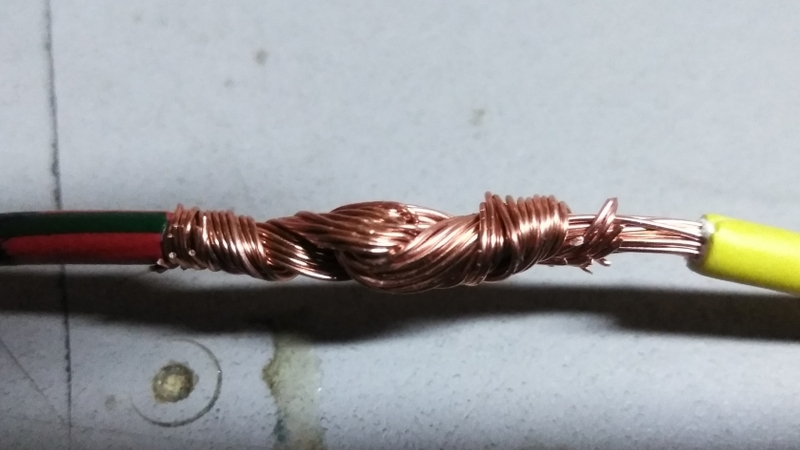 Turn the wire over and repeat the process so the wire is coated all around. Now slide your heat shrink down into place and heat with flame or heat gun. That's it. If you have any questions or suggestions let me know. Last edited by dreamability; Yesterday at 04:02 PM. Thanks, I really appreciate it! Glad I could do it and hope it helps. Yeah how to twist the wires I learned from my father, "always make sure you have a good mechanical connection". Lol. Last edited by dreamability; 03-23-2019 at 12:04 AM.